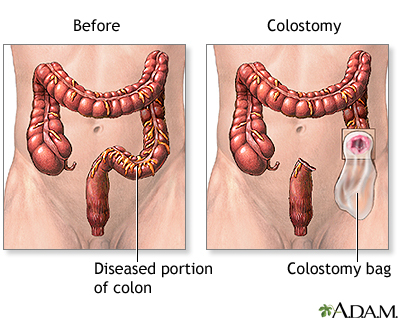 You have had an operation to create an ileostomy or colostomy. 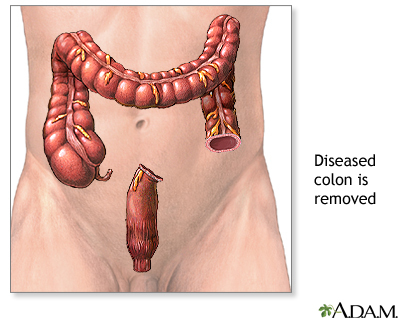 Your ileostomy or colostomy changes the way your body gets rid of waste (stool, feces, or "poop"). You now have an opening in your belly called a stoma. Waste will pass through the stoma into a pouch that collects it. You will need to take care of your stoma and empty the pouch. Below are some questions you may want to ask your health care provider to help you take care of your ileostomy or colostomy. Will I be able to wear the same clothes as before? 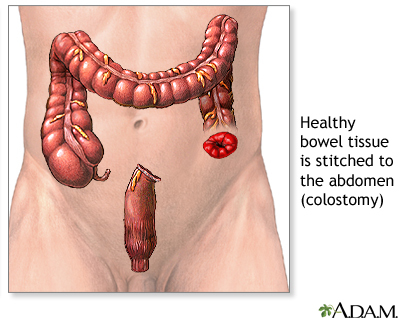 What will the stool look like that comes from the ileostomy or colostomy? How many times a day will I need to empty it? Should I expect an odor or smell? How do I change the pouch? How often do I need to change the pouch? What supplies do I need, and where can I get them? How much do they cost? What is the best way to empty the pouch? How do I clean the bag afterward? Can I take showers? Can I take a bath? Do I need to wear the pouch when I bathe? Can I still play sports? Can I go back to work? Do I need to change the medicines I am taking? Will birth control pills still work? What changes do I need to make in my diet? What can I do if my stools are too loose? Are there foods that will make my stools more firm? What can I do if my stools are too hard? Are there foods that will make my stools looser or more watery? Do I need to drink more liquids? What should I do if nothing is coming out of the stoma into the pouch? 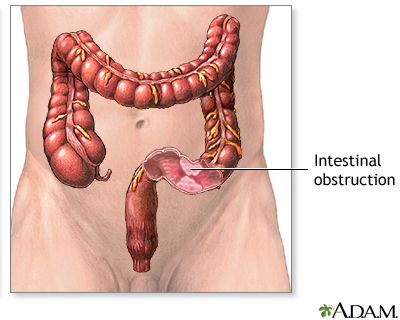 Are there foods that may cause blockage of the stoma or opening? How can I change my diet to prevent this problem? What should my stoma look like when it is healthy? How should I care for the stoma every day? How often should I clean it? What types of tape, creams, or paste can I use on the stoma? Does insurance cover the cost of ostomy supplies? What should I do if there is bleeding from the stoma, if it appears red or swollen, or if there is a sore on the stoma? When should I call the provider? American Cancer Institute. 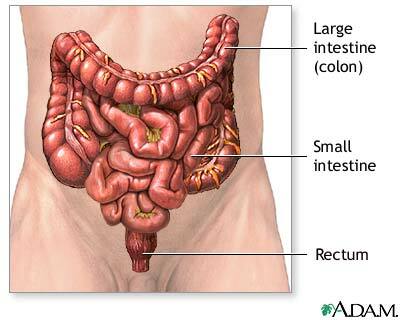 Ileostomy guide. Cancer.org web site. www.cancer.org/treatment/treatments-and-side-effects/physical-side-effects/ostomies/ileostomyl. Accessed April 5, 2017.